Australia and Indonesia should consider vacating their leadership roles of the main regional forum to combat people smuggling after failing to respond to last year's crisis in the Bay of Bengal, according to former Indonesian foreign minister Dr Hassan Wirajuda​. Dr Wirajuda, who played a critical role in establishing the Bali Process to deal with people smuggling, has suggested it is time to rotate the co-chair roles the two countries have monopolised since 2002. His call to dramatically strengthen the Bali Process to deal with forced people movements has been backed by an unprecedented gathering of government and non-government experts in Bangkok. The gathering has warned that, unless forced migration is managed under a comprehensive regional plan, it will have "permanent and intensifying negative impacts on countries in our region". Called the Asia Dialogue on Forced Migration, it has asked the Bali Process to review its response to last year's crisis, to share lessons with countries in the region and "work to implement necessary improvements". The recommendations will be considered by officials this week before Foreign Minister Julie Bishop co-chairs the Bali Process ministerial meeting next month in Jakarta. The 34-member Dialogue included past and present senior officials from governments in the region, the United Nations refugee agency and the International Organisation for Migration, all participating in a personal capacity. Among them were Australia's ambassador for people smuggling issues, Andrew Goledzinowski, who co-chairs the Bali Process officials' meetings; senior bureaucrats Muhd Khair Razman bin Mohamed Annuar, from Malaysia, and Pak Andy Rachmianto​, from Indonesia; and former ASIO head and diplomat David Irvine. Dr Wirajuda was Indonesia's foreign minister from 2001 to 2009. He told the Dialogue: "The Bali Process did nothing to respond to the issue of Rohingya, because of the different degree of interest, including the co-chairs of the Bali Process. "It illustrates that Rohingya migrants were not within the purview of the Bali Process, and in fact, a series of ad hoc meetings were initiated by Malaysia, Thailand and Indonesia, outside the framework of the Bali Process." The crisis last May saw thousands of asylum seekers abandoned in boats in the Andaman Sea and about 300 Rohingya from Myanmar and Bangladeshis drown or die of starvation, dehydration or injuries inflicted by those who abandoned them. 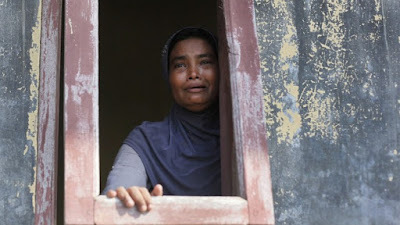 When the boats sought refuge in Thailand, Malaysia and Indonesia, they were initially turned away, prompting a humanitarian crisis and international condemnation that forced the three countries to think again and offer temporary haven. When then prime minister Tony Abbott was asked if Australia would contribute to a solution by agreeing to re-settle some of those found to be refugees, he delivered his signature three-word slogan: "Nope, nope, nope." Convened by Australian, Malaysian and Thai policy institutes, the Dialogue was told the crisis was unresolved, with 317 of those rescued still in detention in Malaysia, 415 in detention in Thailand and about 280 in camps in Indonesia. Dr Wirajuda suggested one way to strengthen the Bali Process, which has more than 40 members, would be to rotate the co-chair roles. "We do not need to reinvent the wheel. We need to strengthen the available process and mechanism, such as the Bali Process, and ASEAN mechanism process and procedures on migration," he said. "A major handicap would be the lack of habits among countries in the region to work rigorously on political and security issues, as they do on the economic co-operation dimension in the overall community-building process in the region." The two-day Dialogue in Bangkok was the second of six planned meetings aimed at developing a regional architecture that delivers "a more effective, durable and dignified approach to forced migration". It made no recommendation on the structure of the Bali Process. In a letter to Bali Process officials, participants said a "collective, co-ordinated response to challenges associated with both sudden and ongoing episodes of displacement, regardless of cause, is vital to ensure continued regional security, harmony and prosperity". Michael Gordon took part in the Dialogue at the invitation of the Centre for Policy Development.